Economic meltdown 2011! That’s the headline of the week. This has been brewing since the last financial crisis in 2008 because nothing got fixed, but the bankers got some sweet bonuses. World financial powers have scraped together 1.6 trillion to stop the meltdown this time, and so far it has not worked. $16 trillion was pumped out by the Federal Reserve the last time and I expect a repeat performance by the Fed. It looks like the U.S. government is headed for another possibility of a shutdown by the end of September. The same old gridlock issues are at play again! Democrats do not want step cuts in social programs and Republicans do not want tax increases. A new Gallup poll says most Americans do not trust the mainstream media. What a surprise! 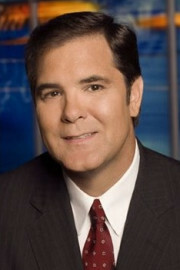 Greg Hunter has all those stories and much more in the Weekly News Wrap-Up on USAWatchdog.com. Greg, very good wrap up, thank you! As to the “printin fed”, Yea, as always, as you have said and so many others for so long now, the fed’s tool has, is, and will be only print. Its only holding a little back right now because of the growing pressure it feels from the public at large. But as soon as a semi black-swan is upon us again the presses will get ramped up. This thing is coming to a head. With all the printing we can’t fall into a deflationary depression so it must be an inflationary depression coming upon us. The latter is far worst than for former. A deflationary depression will land softer and correct itself quicker than an inflationary one. Further, an inflationary depression has more panic to it, while a deflationary depression has more stability to it and far less panic in the streets. That leads me to a question, why push us to the panic side of depression when a deflationary one is way far easier to control and help the people suffering from it? My thought is the government will use panic for the marshall law which by executive order will be in force at the first street disorder. A methodical, slow, economic deflationary contraction would not allow for the government to react against the people’s freedom. Maybe thought out, maybe just the consequences of the printing press, either way, after the inflationary spiro kicks in with panic right behind it, the rights & freedom of americans are lost along with it. A) The top eight banks in the United States have almost $1 trillion in capital and only $54 billion in exposure to the weakest Euro zone nations. Let them all default. Doesn’t bother us. B) In 1981-2, almost all of South America defaulted. The top eight banks then had 263% of their capital exposed to South America, based on accounting rules in place then. Guess what? We had a 20-year boom after that. C) Is Europe a Lehman? One big difference (other than the obvious one I just mentioned: The banks in 2008 were subject to the brand new mark-to-market rule. Now they don’t have to mark to market. They can make an assumption (”Europe will pay back eventually”) and not have to mark things down as quickly. Guess when the mark to market rule was eliminated? March 2009 — the bottom of the market. Love to get your reaction to this. BTW, time is limited, information and opinions abound, got to be parsimonious; I make time for you!!! Thank you. I’d like to do one simple thing and I’ll go away. Value all assets on the books at what they are worth today. (Mark to market accounting.) Let’s do that and see how well the banks are doing. Greg, what about the need for steep cuts in “defense” spending? I think we could cut at least $300 billion from defense – much more if we end the wars of terror in Iraq, Afghanistan, Pakistan, and Libya. More still if we close some military bases. You mention cuts in social programs above. What social programs would you like to see cut, and how much do you think could be saved? I definitely agree that the wealthiest few at the top need to contribute more. Once again you bring the truth into the light of day without any bias slant like the main stream media (MSM), thanks. I personally stopped trusting the MSM over twenty years ago and I believe many others have also. Why? Because we see newspapers and magazines all across America are closing-up shop due to loss of readership. The internet has become a source of information provided by concerned people, like you. The only problem is, like the newspapers of old, the reader must know the true value of the source. The internet has too many hoaxers, purveyors of nonsense, propagandists of misleading materials, and other topics to be wary of; so the reader must be aware. However, a trusted source becomes the “go to” website, blog, or other information outlet for people to obtain the truth about what’s happening. Republicans, Democrats, Tea Party whatevers (? )…what is the difference? There are Blue Dogs, Black Caucus and oops other special interest groups flying difference colors but playing from the same playbook. The only real difference that can be made in our government is for “We the People” to take it back and correct 80+ years of corruption! We are the only government on the planet that can do this! And, we can do it by voting. No guns required (yet). If “We The People” vote out every elected representative, at every level, and do it at every election. We don’t need term limits. We already have the ability to limit the term of every electable position in the United States. Then “We The People” will have a strong influence in the way our country is run. If the corporate interests don’t like it the can sell to Mexico, South America, China, Russia, or anywhere people can pay for their wares. Take America Back….VOTE THEM ALL OUT, EVERYTIME, AT EVERY LEVEL! The main stream media has become nothing more than a group of political rating agencies that have been bought and paid for. Gone are the days of objective delivery as the MSM won’t bite the hands that feed it. Even worse are the government half-truths that MSM blindly spews, without any scrutiny. They just go along with the shady game changes to make the phony percentages look good. I laugh every time I hear 9-10% unemployment when the real figures are well over 20%. Supposedly the US banking system is in a lot better shape even though no one really knows, because they aren’t using mark to market accounting.71 banks shut down so far this year kind of raises some red flags, but the MSM goes on its merry way patting people on the head and telling them everything is okay. On the political end you have two parties that are so busy working on the next election that they could care less what is best for the American people. Of course the MSM only features the candidates with big money cronies. It is all about the money so who cares about candidate messages. In fact, people like Ron Paul are simply ignored. I just wonder how the MSM will sugar coat things when the US economy goes off a cliff. Greg, twist & shake out the of weak hands all the PM’s the Bankers good do over a two day period. What the Fed did was not much different back in 2008 when they stoled Trillions from the American public. They used TARP and a take down of stocks, wiping out the savings of millions of Americans in one day. They just repeated it again and Trillions were transfered from savers to the Bankers. It was said early on that the gov would go after pensions next & that is what they just did. The Fed Owner’s needed more money & they went after it with the CFTC & SEC blessings. The ESF was founded in 1934 by congress, since that time it has been a huge Cash Cow for the Treasury. With in the ESF came the non stop propaganda machine that spreads all sorts of lies and stories that not only mis-lead the American public into wars we should have never took part in, but it has toppled heads of States to start wars based on lies & propaganda. Take the war on drugs, it’s a Trillions dollar operation that has gone on for years & it continues to fund the ESF & all of it’s covert games. If you look at where all the drug money gets cleaned where would people look? Wall Street & the Federal Reserve where the ESF has operated out of since 1934. People should look into what the ESF really is and how it was founded & what for! Now, the Fox/Google debates. Chis Wallace showed the public he is nothing more than a DC insider that turns up his nose to all that believe in the U.S. Constitution. Dr Paul & others in the debate were true to what is wrong with the U.S. policies, yet the MSM only give Perry & Romney as the front runners. Chis Wallace is a progressive who rubs elbows with all of the PE of DC & Wall Street. HE’S NO REPORTER, just another lap dog for the PE. Back to the gold & silver prices. This was a out right crime carried out by JPM’s HFT’s and the other 4 or more who assist the Fed owners carry out these crimes. I went to http://www.kingworldnews.com & listen to the Broadcast of 9/24/2011, there is pleny of insightfull news for PM’s holders. It re- enforces the reasons to hold PM’s now more than ever. People who understand what is going on around the globe are buying all the physical metals they can & right now the premiums are small, but next week we might see a big change in those premiums. Again I point to Iceland, look at who took the hair cuts, not the working people, but the crooked bankers & politicans. This should have happen in the USA & we would well be on our way to a full recovery,but no our politicians are owned by the bankers. Now these same banks,JPM,GS, Citi, Wells Fargo and Bank of America have added more worthless assets to their books and will want another bail out when it all blows up in their face. Americans have had it with bail outs, who is going to bail out the Tax Payers as Tax receits fall off as more find them self jobless? SOME COMMON SENSE IS NEEDED, BUT NONE TO BE FOUND IN DC, would you agree? Give a big shout out to Greg from a old county boy in TN, Thanks again for sharing the truth to all! Again Greg, you are on it. Unfortunately for the economy, you have been right for a long time. Our only hope is that we can hang on long enough to get some politicians to Washington that can make some hard, difficult but necessary choices. Recession …. hell, we never got out of the first one. And now it is worse … so much worse. Not to get political here, but Obama indeed inherited a sinking economy, and quickly poured gas on the fire. Keep up the great work!